OILS SAMPLING, TECHNICAL SUPPORT and much more! We are not just supplying LUBRITA oils and greases, our products are backed up by an accessible technical support service that’s open to all customers. Available oil sampling services, which allow you to monitor the condition of automotive engine oils, as well oils for variuos industrial equimpent. These lube diagnostic tools designed to help manage fleets, automotive and industrial equimpent much more effectively. Our commitment to improving our products and developing new, more effective ones is ongoing and following markets trends. Our technical teams constantly developing new approaches and reviewing existing products regularly to identify further opportunities for development new technologies as life moves on. 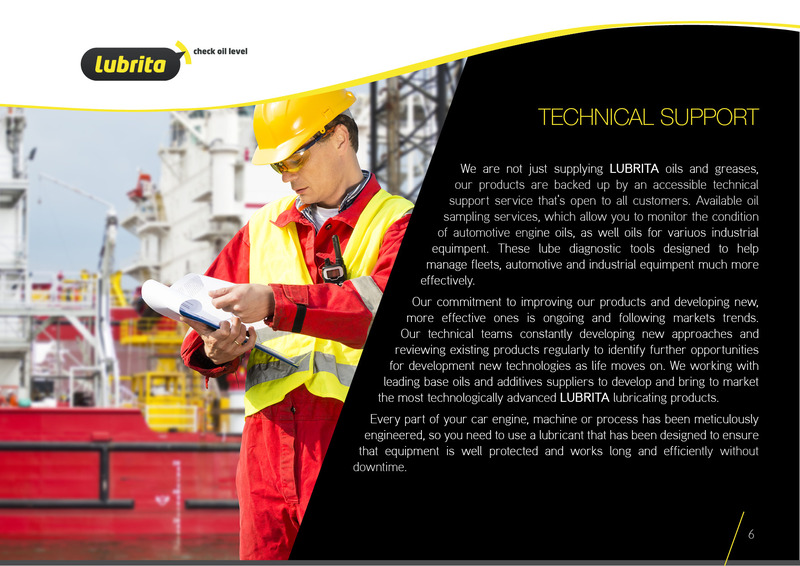 We working with leading base oils and additives suppliers to develop and bring to market the most technologically advanced LUBRITA lubricating products. Every part of your car engine, machine or process has been meticulously engineered, so you need to use a lubricant that has been designed to ensure that equipment is well protected and works long and efficiently without downtime.